Dr. Stallworth received her medical degree from Baylor College of Medicine in Houston, Texas in 1990. In 2009, she completed a 2-year fellowship in Integrative Medicine at the University of Arizona under the direction of Dr. Andrew Weil. She is a board certified physiatrist. As a medical doctor with more the 20 years of experience, she is passionate about helping to restore her patients to maximum vitality. Her daily work ranges from helping people attain optimal health to managing complex disabling medical illness. She works closely with her patients to empower them to take charge of their lives through preventive care and self-directed efforts to move beyond complacency and into wellness. Certified in clinical hypnosis as well as therapeutic yoga, her philosophy combines the most effective innovations in Western medicine with the centuries-tested understanding of the body practiced by the ancient healing traditions. She is the recent past president of the Nashville Academy of Medicine and currently sits on the Board of Brightstone, a program for adults with intellectual disabilities in Franklin, TN. Additionally, she serves as medical advisor to Medical Mime, an innovative electronic health record (EHR) software solutions company. Her previous leadership roles include board advisory positions at Centennial Medical Center, the Baptist Healing Trust, and the American Academy of Physical Medicine and Rehabilitation. In addition to her role as founder of beWELL, she is the current medical director of Lifetherapies Inpatient Rehabilitation Unit at Baptist Hospital. Dr. Stallworth is the author of Power and Grace: Healing with Yoga for Boomers and Beyond and is featured in the recently released film, Yogawoman. The Commission for the Accreditation of Rehabilitation has recognized her as a “visionary” medical director. 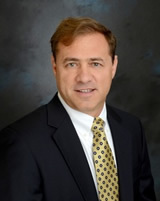 Dr. Rhett Bergeron attended LSU Medical School. While in medical school and residency, Dr. Bergeron developed an interest in endocrinology and the use of bio-identical hormone therapy. After graduation from medical school, he completed a combined internship in Pediatrics and Internal Medicine (1993) and a Family Medicine residency (1995), both in the Charity Hospital system of Louisiana. In 1996, he joined the immunology research lab Immunocomp which specialized in evaluating the immune system in chronic fatigue/fibromyalgia and cancer and provides patient specific cancer vaccines and cytokine immune therapies. Dr. Bergeron has extensive training in integrative medicine with the American Academy for Advancement in Medicine, the American Academy of Anti-Aging Medicine, the Academy of Comprehensive Integrative Medicine and the Biological Medicine Program with the Paracelsus Klinic of Switzerland. He is currently the owner and medical director for Real Health Medical located in Roswell, GA.
Dr. Heiderscheit is the Director of the Master of Music Therapy at Augsburg College and Assistant Professor at the University of Minnesota Center for Spirituality and Healing. She has over 15 years of experience teaching undergraduate and graduate courses and over 20 years of clinical experience in a variety of healthcare environments from major medical centers to clinic settings. She maintains a clinical practice at the University of Minnesota Children’s Hospital, as well as a music therapy private practice. She also consults and teaches within major healthcare organizations on the benefits of using music and music therapy as an integrative modality in patient care. Dr. Heiderscheit was awarded the 2010-2012 A. Marilyn Sime Research Fellowship through the Center for Spirituality and Healing at the University of Minnesota. 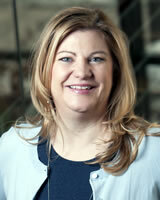 She specializes in clinically based and interdisciplinary research. She actively conducts research in clinical areas including: patient directed music listening with mechanically ventilated patients (adults and infants); music therapy and the BMGIM in eating disorder treatment; patient and family directed use of music in Bone Marrow Transplant (BMT) process; and yoga and music based protocol in memory care. Her various research projects have garnered nearly $1.5 million in grant funding and she has worked on a myriad of music therapy project based grants totaling $2.5 million. Dr. Heiderscheit currently serves Past President of the World Federation of Music Therapy (WFMT) and as Chair of Development and Finance for the International Association of Music and Medicine. She frequently lectures and present internationally, nationally and regionally. She has published extensively on her clinical work and research in various books and journals. Most recently, the interdisciplinary research team with which she collaborates with at the University of Minnesota had their research published in the Journal of the American Medical Association (JAMA). She has also authored book chapters on music therapy in eating disorder treatment, addictions, depression, spirituality, guided imagery and music, and surgical and procedural support. She is currently editing a book on The Creative Arts Therapies in Eating Disorder Treatment and co-authoring a book on Music, Health and Wellness. Dr. Heiderscheit also serves on the editorial review boards of various peer-reviewed journals including Music Therapy Perspectives and Music and Medicine and regularly reviews articles for various peer-reviewed journals. Dr. Kolb graduated from Johns Hopkins University and received her medical degree from Washington University School of Medicine. With a post-graduate education in plastic surgery and general surgery at Wilford Hall Medical Center, she specializes in plastic and reconstructive surgery, and since 1985 she has been certified by the American Board of Plastic Surgery as well as is a founding diplomat of the American Board of Holistic Medicine. 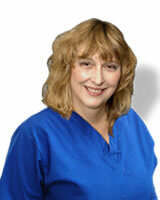 Established in private practice Atlanta since 1988, she is also the founder of Plastikos Surgery Center. Plastikos is a holistic surgery center incorporating many disciplines of alternative medicine and spiritual healing and was established in 1995. “Temple of Health” is a weekly radio show hosted by Dr. Kolb every Saturday from 12:00 – 1:00pm on www.bbsradio.com – they offer a comprehensive variety of informative topics on holistic and spiritual medicine as well as health and fitness. Susan Kolb, M.D., FACS, is also the Founder of Millennium Healthcare and Avatar Cancer Center, and she is well recognized as both an authority on energy healing and spiritual medicine as well as one of Atlanta’s leading plastic surgeons. Incorporated into her modern surgery practice are holistic, spiritual, Traditional Chinese Medicine and ancient healer teachings.